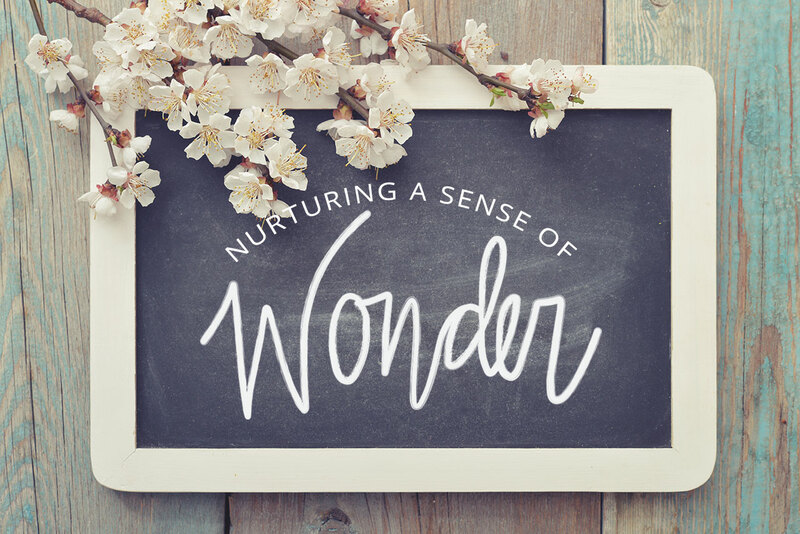 These are all extraordinarily beautiful events that take place on a daily basis and are there for the taking when we slow down, enjoy, and explore them with the children in our lives. More than anything we want our children to be captivated by all that the natural world has to offer. For it’s that captivation that will lead to the desire for deeper understanding. The universe holds unlimited lessons for us and is filled with what can seem like magic! The art of noticing is a gift that will last a lifetime. It’s powerful when we slow down and take the time to notice the little things that are often overlooked in our busy grown-up lives. Simple things like the clouds moving, the colors of a sunset, or the squirrel in your front yard can seem enchanting to a young child. It’s also fun to notice how things in the natural world change over time—look at the same flower everyday, watch the changing leaves on your favorite tree, or track the time that the sun sets. Sharing these small moments with your child encourages them to develop an awareness and appreciation for the world around them. Many of us feel that we need to be experts or have all the answers before we dive into a new area of learning with our children. In fact nothing could be further from the truth. What children are looking at more closely than anything else is our attitude towards science. Simply by getting outside, showing enthusiasm for new discoveries, asking questions about observations, and modeling ways to research the answers to the questions we don’t know—we are modeling the scientific method in action. The goal is to model for children that life is not always about having the right answers. In fact, having the right questions can actually prove to be a more important and rewarding skill in life. The goal is to encourage outdoor explorations and then to support further inquiry and research at home. In my experience, I have learned that while it helps to have a project or activity planned for outdoor investigations, it is also important to follow your child’s lead if they want to stray from the topic at hand. As parents we have this luxury because we can always revisit our original goals at another time. When children are outdoors we should encourage them to explore, look, listen, touch, pick apart, compare, collect, sketch, and anything else that comes naturally. This allows for open-ended investigations that are lead by their own curiosity and desire. It’s when children return home (or to the classroom) that we as parents and teachers can deepen the experience by providing relevant resources for further research. It is helpful to begin with a child’s questions. 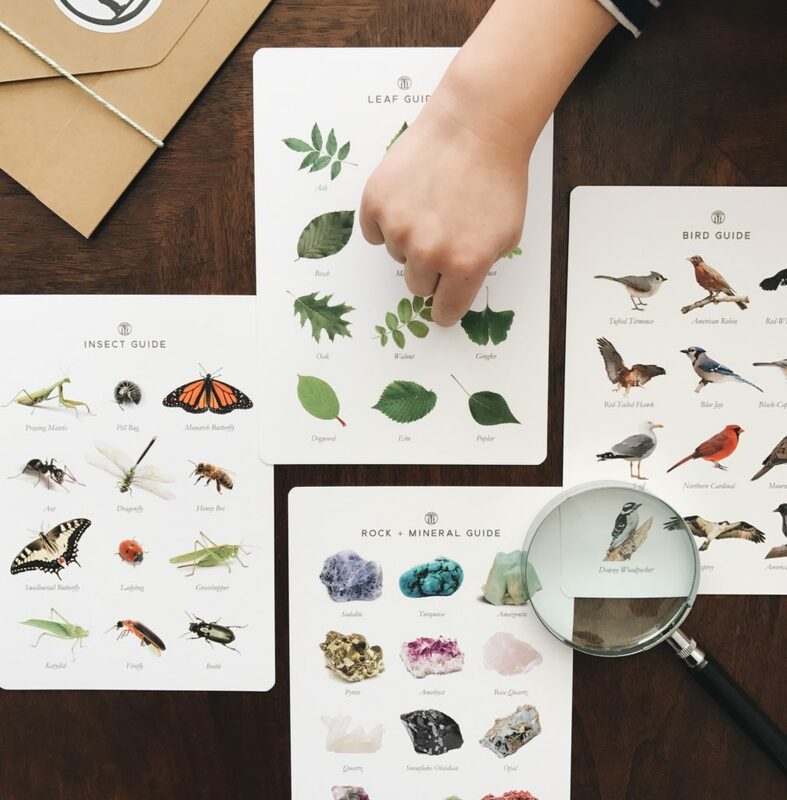 I have found that taking the time to look through our collected treasures—sort them, classify them, and create a fun nature display—offers the opportunity to reflect on the day’s experience and good time to record questions that came up. Setting up a science area, nook, or basket where children can readily have access to child-friendly field guides, books, and other inspirational materials allows them to seek the answers they are looking for. For children at every age it is beneficial to talk about the connections between things. Many of us learned about science from the two-dimensional world of textbooks. We learned a sequence of facts about a variety of topics in a linear progression. Yet, we do not live in a two-dimensional world and science is filled with multi-dimensional relationships that cannot be fully understood or appreciated through the memorization of disjointed facts. Parents have a great opportunity for pointing out the connections between all living things and the important role that each one plays in the web of life. Children inherently understand this relatedness and listen to stories about the natural world with the same anticipation as a bedtime tale. You do not need to be an expert and there is a lot that you will learn with your children as you go—in the back of your mind simply remember to look for opportunities to connect your child’s object of interest to a cycle, a season, a food chain, or another living thing. When children begin to internalize the interconnectedness of all life, they will naturally become more aware of the important role that humans play and hopefully more conscious of the impact they are making within the world.